In the lead-up to the 50th anniversary of the moon landing by Apollo 11 on July 20th, 1969, we're counting down the events that led up to that historic moment. 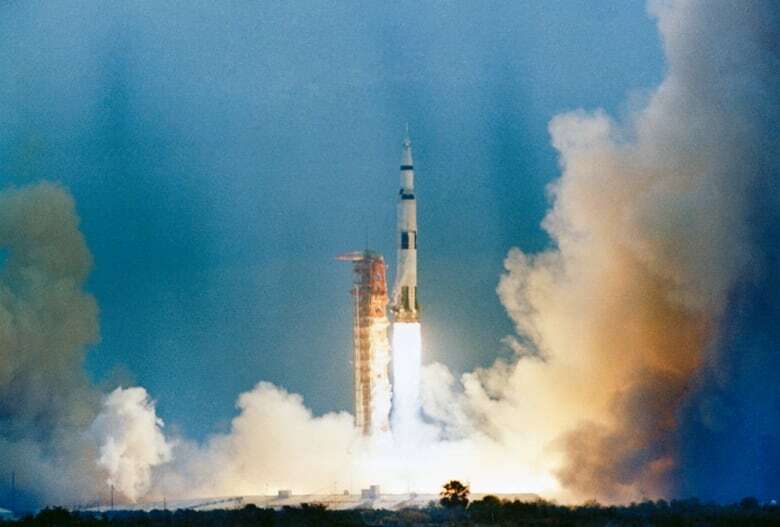 In the months leading up to the launch of Apollo 11, there were other missions in which systems and procedures, men and machines, had to be rigorously tested. The whole world was watching and nothing was left to chance. Helping us with this countdown is Amy Shira Teitel. Amy's a Canadian space flight historian, author, and host of her own YouTube Channel 'Vintage Space'. In this second episode of our countdown Amy and Bob discuss the moon landing rehearsal that happened in Earth orbit and Apollo 9. Bob McDonald: Let's begin with Apollo 9. It launched on March 3rd 1969. Now as we spoke last time Apollo 8 had actually gone to the moon and back. Apollo 9 wasn't going there but it was testing just about everything else on the mission particularly the two main parts. The lunar module, which would land on the moon, and then the command module that would get them there and back. Amy Shira Teitel: Right. 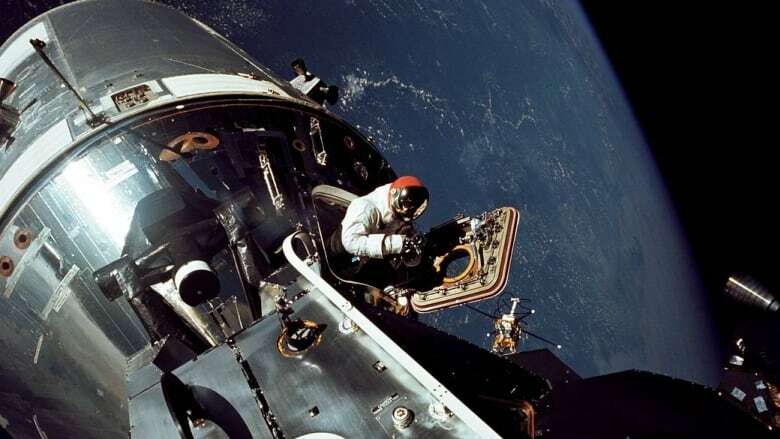 When it came time for Apollo 9, NASA had all the pieces of the lunar puzzle but it didn't want to just go for broke and go to the moon with everything right away in case something happened. So the safer option was to basically do a dry run of lunar landing mission but in Earth orbit, which does sound a little bit counterintuitive. But it was a very necessary step in proving that all the technology was really up to the task of landing on the moon. Bob McDonald: Now the the big test here was the lunar module. By the way I thought it kind of funny that they gave them really goofy names. The lunar module was named 'spider' because they thought that's what it looked like. It's kind of a spindly looking thing it was the first spacecraft designed not to land on earth to be entirely a spacecraft. Then they named their command module 'gumdrop'. Amy Shira Teitel: Right. Because when it arrived from the factory it was wrapped in a blue protective coating and they said it looks like a gumdrop. Apollo 9 was also the mission that put an end to astronauts being able to name their own spacecraft. Bob McDonald: Well let's go through what they actually did with the two parts. Let's start with that lunar module. It was its first flight in space. Amy Shira Teitel: Yes. The lunar module's first flight was actually on Apollo 5, but it flew unmanned and without legs because it didn't need them. It was just a test of the onboard system. So this was really the first time not only that the full spacecraft would be flying but would be flying manned. It would also not just be going up with the rest of the mission it would actually be flying separately. They'd be practicing the rendezvous and docking that they would need to be doing in orbit around the moon on a lunar landing mission and making sure that in an emergency astronauts would be able to actually go between the two spacecraft if they weren't docked. So if anything happens around the moon and your spacecraft can't connect you need those astronauts back into the mother ship, the command module, and that's the only thing that's going to be able to bring them home. So it doesn't feel like the most exciting mission because it didn't go to the moon but it was a really high stakes mission. Bob McDonald: Well it was also quite risky for the astronauts that were in the lunar module because they separated and were on their own, quite far away. About 100 miles between them and their spacecraft which could not land on Earth if anything went wrong. Amy Shira Teitel: Yeah. And it's not like they had jet packs on board to be able to just zip back over to the command module if something went wrong. If they're if they're that far away and they can't get themselves back together they're not getting back together which is where the delightful and mildly terrifying mission rule of if someone can't get back inside the spacecraft, you have to come back by yourself. That was a real rule NASA had. It did come into play thankfully and never had to be enacted. Bob McDonald: But it's terrifying to think about that now. 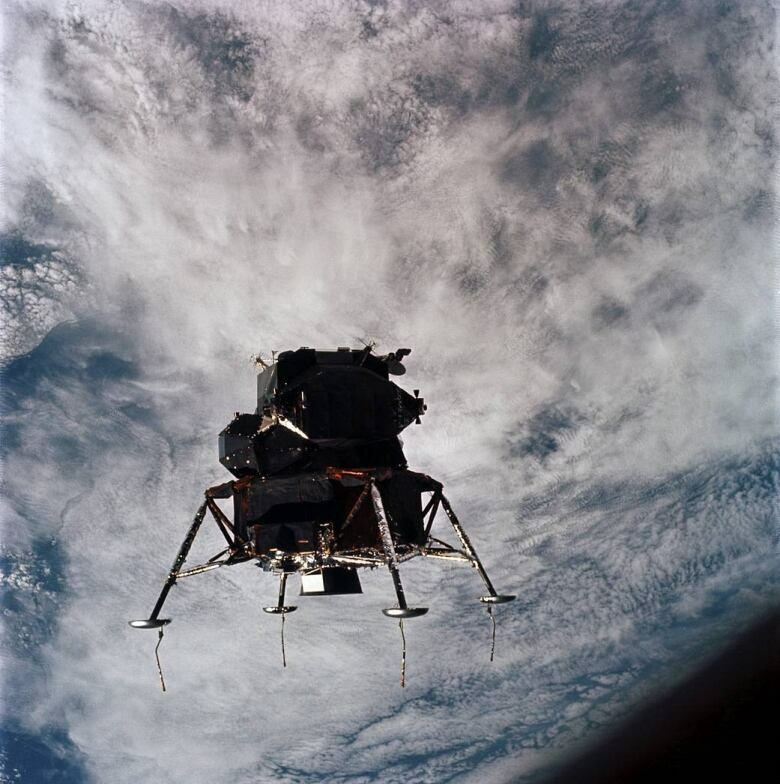 The Apollo 11 lunar module was actually two pieces, but when it took off from the moon it left its legs behind. Apollo 9 had to go through that, but in Earth orbit without actually landing on anything. Amy Shira Teitel: This is the really interesting part about the lunar module and its design. It was custom built to just land on the moon. I mean you're right it can't land on Earth but it also can't land anywhere else. And because a rocket really needs a flat surface or some kind of launching platform to get up basically, it was designed such that the descent stage, that big boxy part in the bottom, would serve as a launch pad. And it's a separate engine. The ascent engine has to actually get them off the moon. So of course Apollo 9 had to test both of these engines. So they tested the descent engine in sort of manoeuvering and getting away. Then they had to fire the ascent engine, just kind of punting the legs off into space in order to reconnect with the command module exactly like they would do in lunar orbit. Bob McDonald: Apollo 9 was very successful. 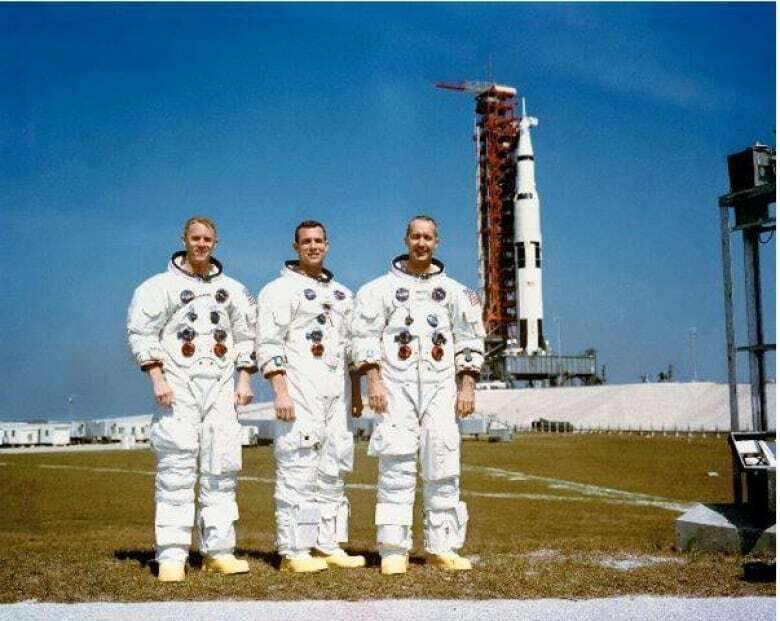 So what was left then for the next mission,Apollo 10? Amy Shira Teitel: Even though Apollo 9 really did prove that all of the hardware and the training was adequate and really did ready a crew for a lunar mission, NASA still didn't know how all of this was going to work at the moon. So Apollo 10 basically redid Apollo 9 but was a dress rehearsal for the landing but much closer to the surface. Planting a red flag on the far side of the moon?